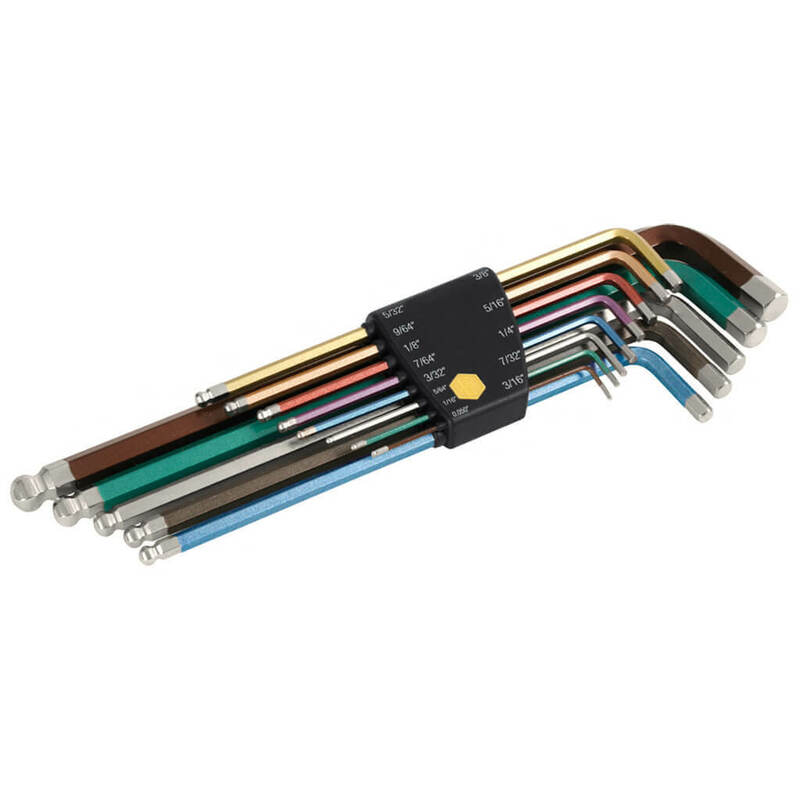 Color Coded 13 Piece SAE (Inch) Ball End Hex Long Arm L-Key Set. Machine chamfered ends for a perfect fit. Hex Inch: 0.050", 1/16", 5/64", 3/32", 7/64", 1/8", 9/64", 5/32", 3/16", 7/32", 1/4", 5/16", 3/8"